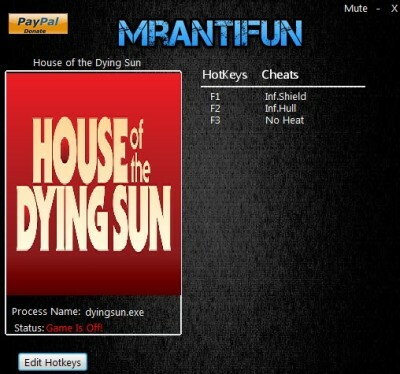 In this article you can download House of the Dying Sun cheats. This trainer +3 has been created by MrAntiFun for game version 1.0. All cheats on our site you can download without registration, so this hack available for download free. With this trainer you will get the advantage in your game. But first, a bit of information about the game. 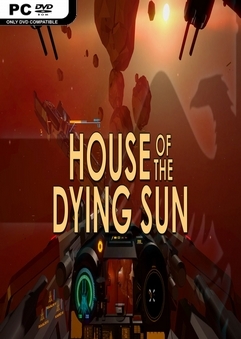 House of the Dying Sun is a tactical space combat game for PCs and VR platforms. It gives players direct control of a small, upgradeable fighter. But it also gives you the ability to command every other ship in an ever-growing fleet, and to take direct control of every one of those ships on-the-fly.